An injured customer is one of the worst things that a small business owner can face, both in terms of reputation and the company’s bottom line. Customer injuries can occur for a variety of reasons, including wet floors or improper manufacturing of a product, and in virtually all cases, the business will be held liable for damages that come along with customer injuries. Unfortunately, for most business owners, it’s not a question of if a customer injury will occur, but when a customer injury will occur. As a result, it’s incredibly important to carry property and casualty insurance coverages. 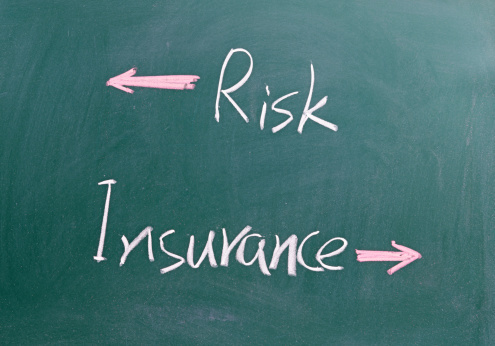 What Do Property and Casualty Insurance Coverages Protect Against? Property and casualty insurance coverages safeguard against a variety of threats to your business, including injured customers and injuries that are sustained as the result of a product or service your company has provided; however, property and casualty insurance coverages may also help in circumstances where a company is being sued for non-physical damages, such as when a company has been accused of libel or slander. While property and casualty insurance coverages are quite wide in their scope, they don’t protect business owners in all situations. For example, if an employee has intentionally gone against company policy and his or her actions have resulted in an injury, the employee, and not the business, may be the one held liable. What Happens Without Property and Casualty Insurance? Speaking of being held liable, without property and casualty insurance, your business, and even you personally, may be held liable in the event of an injury. Depending upon how your business is set up and whether it is incorporated or not, an injured customer may be able to file a lawsuit directly against you and your business simultaneously, jeopardizing not only your business assets, but also your personal assets. Remember, even small injuries can lead to many thousands of dollars coming out of your pocket if you aren’t protected by property and casualty insurance. In order to find the right coverage options for your unique business needs, it would be a good idea to partner with an independent insurance broker, such as Poms & Associates, to receive an unbiased, objective view of what’s available. Unlike traditional insurance agents who are tasked with pushing a specific company’s products, an insurance broker scours the offerings of many different insurance companies to help clients find the right levels of coverage. From there, an insurance broker can handle the entire purchasing process, including any disagreements in terms that may arise, in order to make the process of purchasing property and casualty insurance easy. What’s important to note is that insurance will not help a business owner after an injury has already occurred, so if you run a small business and you either don’t have property and casualty insurance or you’re unsure about the level of coverage you have, the time to act is before an injury or accident occurs. By procuring property and casualty insurance now through an independent insurance broker, you’ll be more likely to protect your business’ reputation and bottom line when an injury does happen. Andrew Rusnak is an author who writes on topics that include business insurance and risk management.